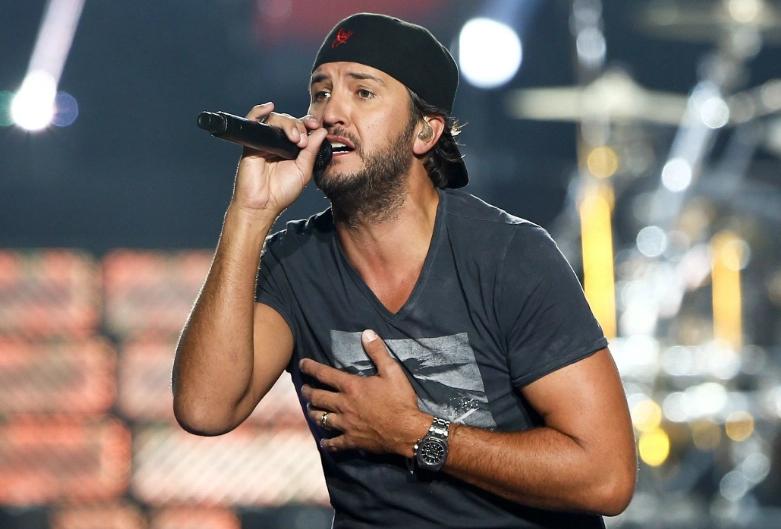 While talking about the top country singers of America, singer Luke Bryan is counted among the top. He began his music career writing songs for Travis Tritt and Billy Currington before signing with Capitol Records Nashville with his cousin, Chad Christopher Boyd in 2007. He is one of the most talented singers blessed with an amazing voice and songwriting abilities. Luke also plays instruments like acoustic and electric guitar and piano. Nine times American Country Awards winning singer Luke has millions of fans scattered around the world. In the year 2013, Bryan received the Academy of Country Music Awards, the Country Music Association Awards "Entertainer of the Year" award. Luke tweeted "Excited to announce @ThomasRhett, @DustinLynch and @lauren_alaina are coming along for @crashmyplaya 2019". How Luke Bryan, Jason Aldean Theme Bars Are Remaking Nashville’s Broadway. Our night in downtown Nashville begins in a bank-turned-tattoo-parlor-turned-Luke Bryan-themed restaurant with a pickup truck dangling over the stage where a band is covering Maren Morris’s “My Church.” The Space has six levels, eight bars, numerous light-up “Luke Bryan” signs and more flat screens than a Best Buy. But we are on the roof drinking Coors Light and eating fried sushi. For being one of the most popular country singers. More than a dozen of his singles have reached the top of the country music charts. 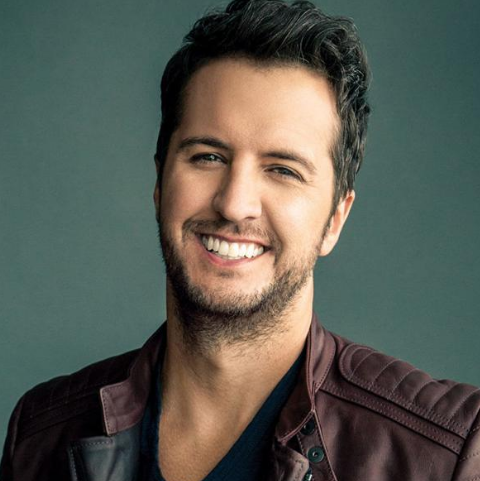 Best recognized by the stage name Luke Bryan, the singer took birth as Thomas Luther Bryan on 17th July 1976. His nationality is American and his ethnicity is English and Irish. He was born in Leesburg, Georgia to Tommy Brian and his wife, LeClaire (nee Watkins). His father has a peanut farm. Luke is his parents’ third child. He had two elder siblings, a brother, and a sister. His brother Chris died untimely in a road accident when Luke was 19. It was a tragic moment that left the whole family devastated. Several years later, in 2007, another tragedy struck the family. This time, his only sister Kelly died unexpectedly at home. The reason behind the death has not been determined. His sister Kelly was married with a child named Tilden ‘Til’. Luke has taken all the responsibilities of the child after his father Ben Lee Chesire died in 2014. Talking about his education, Luke went to college at Georgia Southern University in Statesboro, Georgia. From the university, he graduated in 1999 with a bachelor’s degree in business administration. He moved to Nashville in 2007 to pursue his career in music. Luke has got a very attractive and hot body. He has a tall height of 6 feet 3 inches and balanced weight of 92 kg. His hair color and eye color both are dark browns. His shoe size is 12(US). His glowing face with a charming smile attracts a lot of followers towards him. After his graduation, Luke was planning to commute to Nashville to pursue his career in music but he was unable to leave his place after the unexpected death of his brother. It took him years to move beyond the tragedy and he finally moved to Nashville in around 2004. As soon as he reached Nashville, he began working at a publishing house. He eventually began working as a songwriter and ultimately signed as a performer. Capital Records was the first label that signed him as a singer. During this time, he co-wrote the single Good Direction with Billy Currington that topped the country chart in mid-2007. Shortly afterward, he wrote All My Friends Say and released it as his debut single. The song was a big hit and reached at #5 on the Hot Country Songs chart. After the huge success and critical acclaims he received through his debut single, he released his debut album I’ll Stay Me in August 2007. The album consisted of 11 tracks in total, 10 of which were written by all by him. Luke has released three more albums till date, Doin’ My Thing (2009), Tailgates and Tanlines (2011) and Crash My Party (2013), all of which are certified either platinum or multi-platinum. His next album Kill the Lights is due to release in August 2015. He has released a number of hit singles, most of which has topped the charts. Kiss Tomorrow Goodbye, Crash My Party, I Don’t Want This Night to End, Drunk on You, etc are few of his singles from his albums that have been released. In the year 2016, he was selected as one of 30 artists to perform on "Forever Country", a mash-up track of "Take Me Home, Country Roads", "On the Road Again" and "I Will Always Love You" which celebrates 50 years of the CMA Awards. On 5th February 2017, he performed the National Anthem at Super Bowl LI at NRG Stadium in Houston, TX. He released "Light It Up" in mid-2017. Having released a bunch a hit singles and albums, Luke has become one of the most successful country singers of America. His successful career has earned him a huge fan base and widespread fame along with a huge net worth of 70 million USD. His salary is $42 Million. Luke is a married man. Luke has two children of his own with his wife Caroline Boyer, his wife. Caroline and Luke have known each other since they were in college. They began dating in 1998 and married on 8th December 2006. The couple’s first child, son Thomas Boyer Bryan was born in 2008 while their second son Tatum Christopher Bryan was born in 2011. The couple is living a happy and prosperous life with their children. Luke Bryan is undoubtedly a good singer but before being a good singer, he is a good person as a whole. Kind and generous Luke contributes most of his earnings to charitable foundations like City of Hope, Red Cross and TJ Martell Foundation that works for the causes like HIV/AIDS, cancer, human rights, disaster relief, etc. Luke Bryan might have faced various problems in the beginning but his never-ending spirit and desire of doing something have always kept him moving forward to his destiny. His dedication and hard works have helped him in reaching the place he dreamt of. People love him for this. The first ever concert he attended was of Jerry Lee Lewis and T.G. Sheppard. He was 7 years old at that time. The first job he took upon moving to Nashville was to wait on tables at the local restaurant. However, he didn’t last in that job beyond 3 days. He has had his fair share of accidents. He has got stitches on his face on three occasions and was hit by a car when he was studying in 2nd grade. When he was 19 years old, he intended to move to Nashville to become a singer. However, he had to cancel his plans due to his older brother’s death as he felt his family needed him. Luke has done activism work for the charities and not for profit organizations such as Red Cross and City of Hope. He is the co-owner of Buck Commander, which sells outdoor attire and equipment. Luke was even featured in a reality TV show created in collaboration with Outdoor channel for his company’s promotion.